Whether you’re having a barbecue, tending your garden, or watching the kids play outside, some form of mosquito control is absolutely essential. This is where Mr. Mister comes in. Our ClearZone™ Mosquito Yard Treatment is so effective that we can guarantee you’ll be mosquito free for 21 days, or we’ll come back and spray for free. For additional convenience, we can install automated mosquito misting systems around your yard that release a fine mist on a set schedule. You’ll never have to worry about mosquitoes again, and we’ll make sure your system is never empty and always working. East Cobb residents need mosquito control as Georgia is one of the top states in the country for mosquito populations. This poses a serious risk to people as mosquitoes can transmit infectious diseases such as Malaria, Zika virus, Dengue fever, Yellow fever, West Nile virus, Chikungunya, and more. But have no fear, our mosquito spraying services and mosquito misting systems will clear up your backyard or yard guaranteed or your money back. 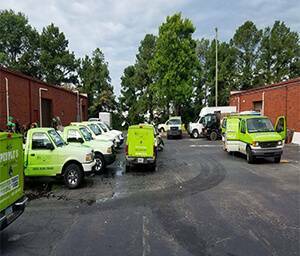 To say it simply, our East Cobb mosquito control services provide the most effective and affordable pest control management available. With the Chattahoochee River as its southeast border and a number of great parks, East Cobb residents love to spend time outside. East Cobb is also known for its top notch school system and great shopping including Merchant’s Walk. Backyard entertainment with friends and family is a given all year around due to the mild climate but the summer months attract mosquitoes and other insects that make outdoor entertainment a challenge. But don’t worry, our fully trained professionals will personally maintain your mosquito yard treatment and provide fast pest control service. We are happy to help the East Cobb community make sure that the outdoors don’t bite back.